University of Houston-Clear Lake’s “The Choice is Clear” advertising campaign gained recognition during the American Advertising Federation-Houston’s 51st Annual ADDY® Awards. Brett Elliott Excellence in Copywriting Award to Richards/Carlberg copywriter Josh Powers for writing on the UHCL Campaign. Founded in 1971, Richards/Carlberg is a Houston-based affiliate of The Richards Group, the largest independent branding agency in the nation. Other clients include the Houston Airport System, Mahindra Tractors and Tarkett flooring. To find out more about the campaign, visit www.uhcl.edu/egret/marketing. 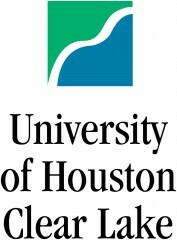 For more information about UH-Clear Lake, visit www.uhcl.edu.